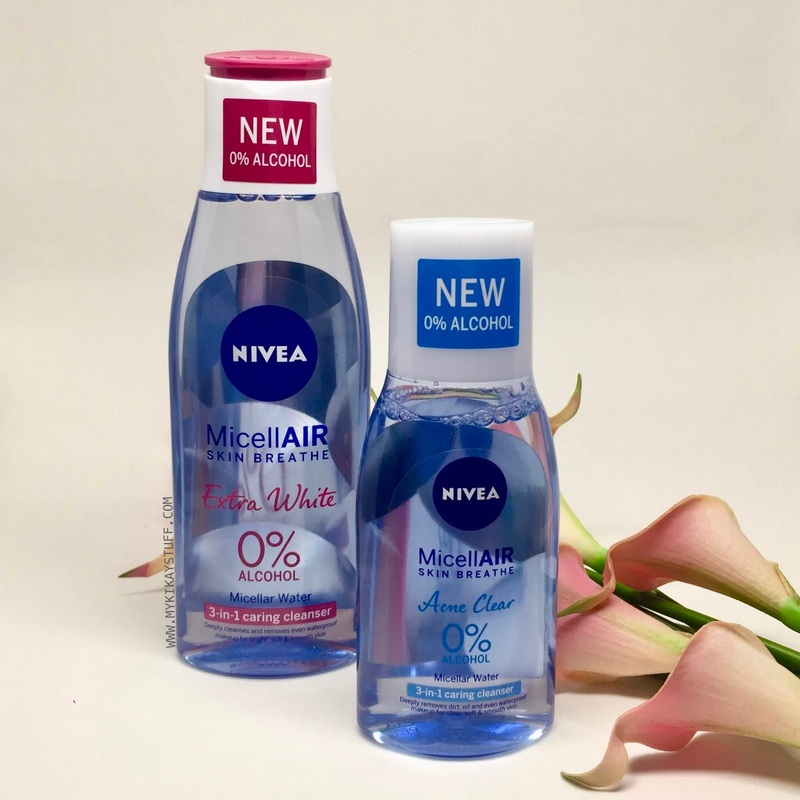 The Nivea Micellar Water comes in two varieties, (L) Extra White contains natural pearl extract & licorice for skin brightening and (R) Acne Clear with Magnolia Bark extract for pimple prevention. I've been using both varieties alternately in the past weeks so read further and see how these newbies fare. 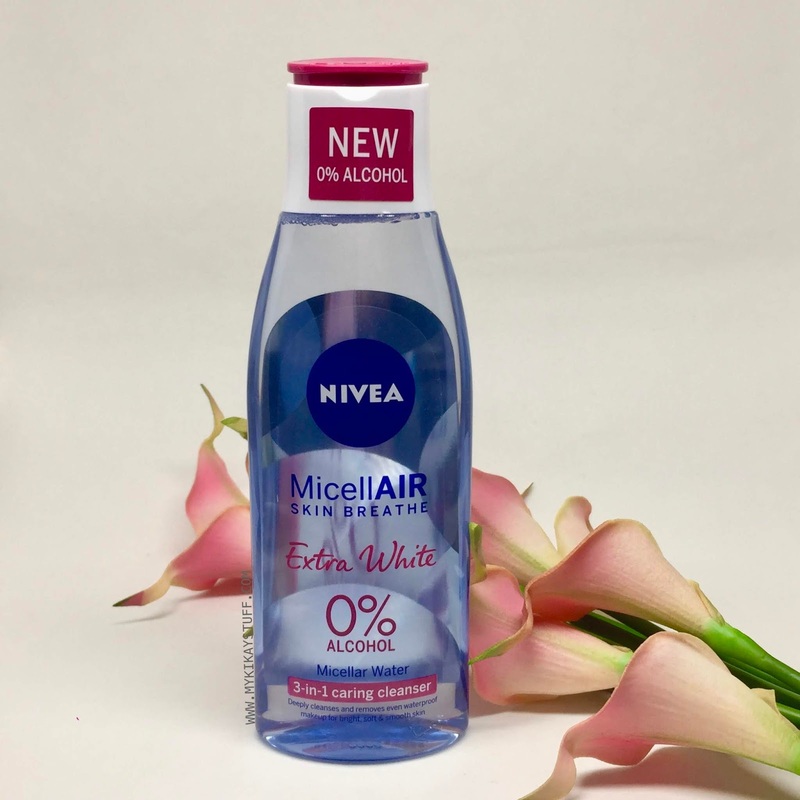 I got the Nivea Acne Clear Micellar Water which comes in a clear plastic bottle of 125 ml capacity. It also comes in a bigger bottle of 200 ml if you wish to get more. Looking through the container you can already tell that it's a clear fluid much like water sans the bubbles. 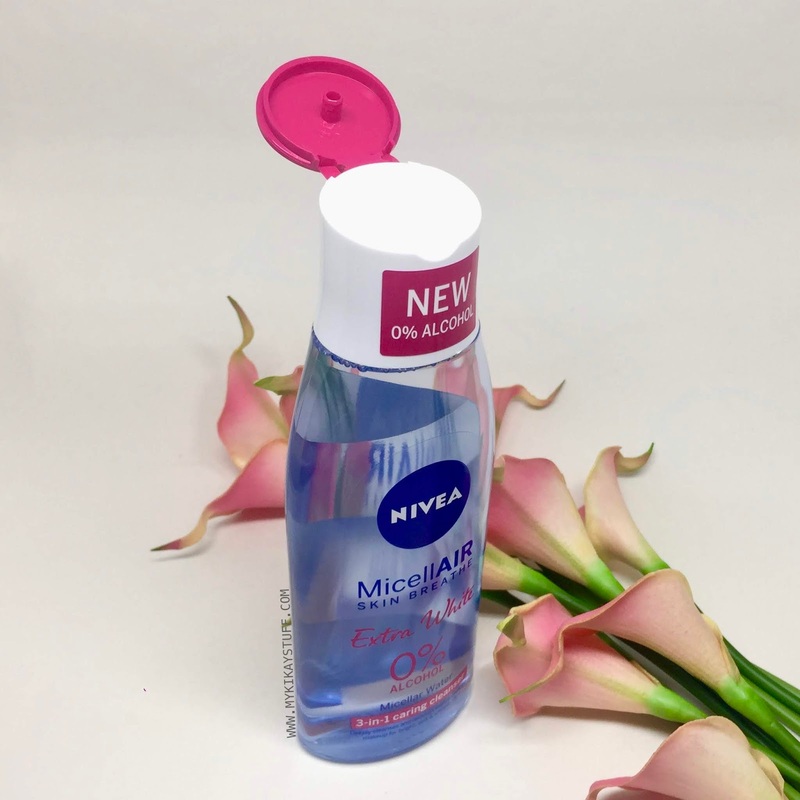 This micellar water has a subtle scent that dissipates after application. It also has a bit of cooling effect on the skin which I really like. 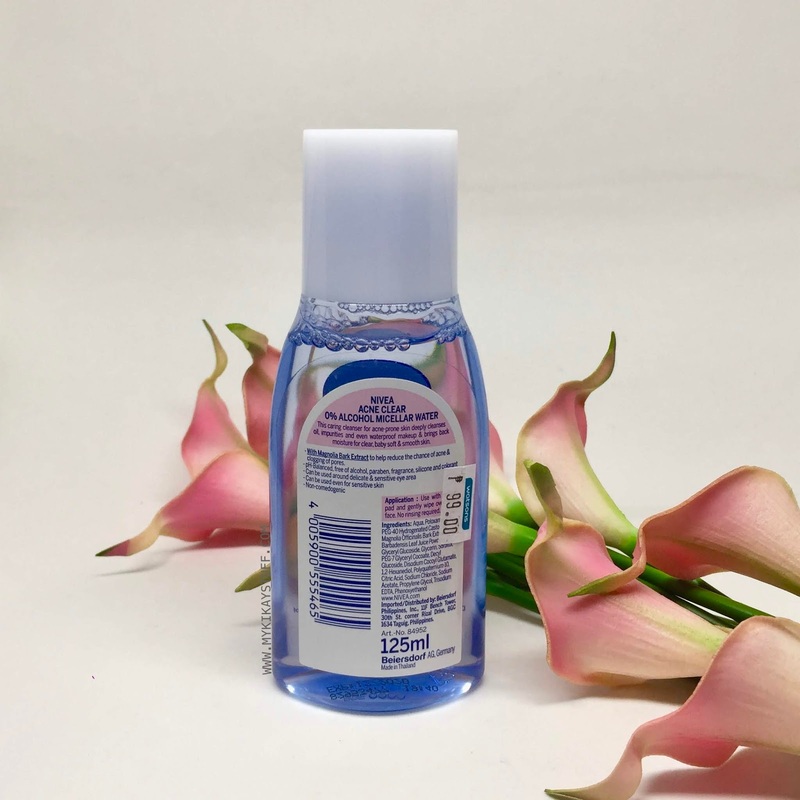 It easily removes makeup and waterproof mascara without having to rub too much. I also like how it doesn't sting my skin or cause irritation. 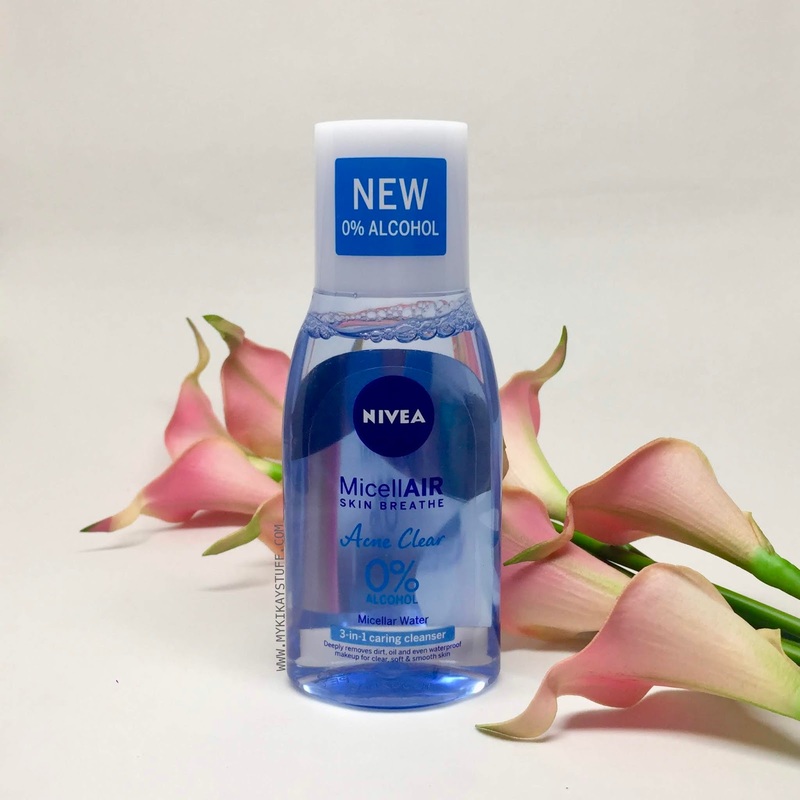 I've been using it for a couple of weeks now and so far I haven't had any pimple breakouts. 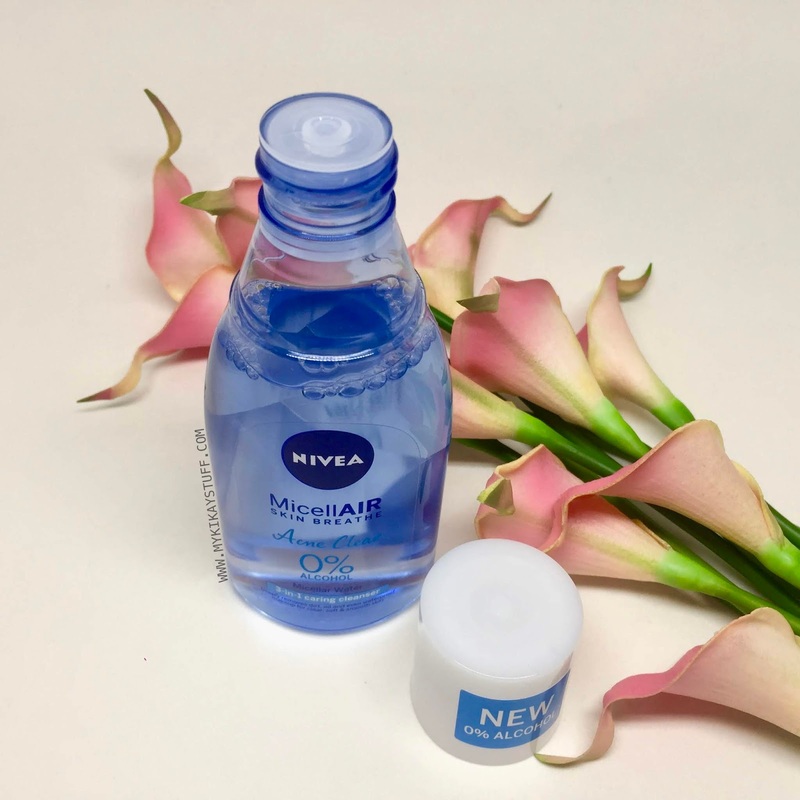 The Nivea Extra White Micellar Water I purchased is in this 200 ml bottle but it does come in a smaller container like the Acne Clear variant. The only difference in their packaging is that the 125 ml has a screw on cap which I think is more functional for travel while the 200 ml bottle comes with a flip cover for ease of dispensing. The Extra White variant gives off a subtle scent that goes undetected when applied. It appears pretty similar to the Acne Clear variant but it doesn't give you much of that cooling feel. It's also capable of removing makeup and waterproof mascara with ease. As for the whitening effect, I haven't seen any of that on my skin but it may take a while to see if it does. After two weeks of continued use it hasn't irritated my skin or cause any breakouts. 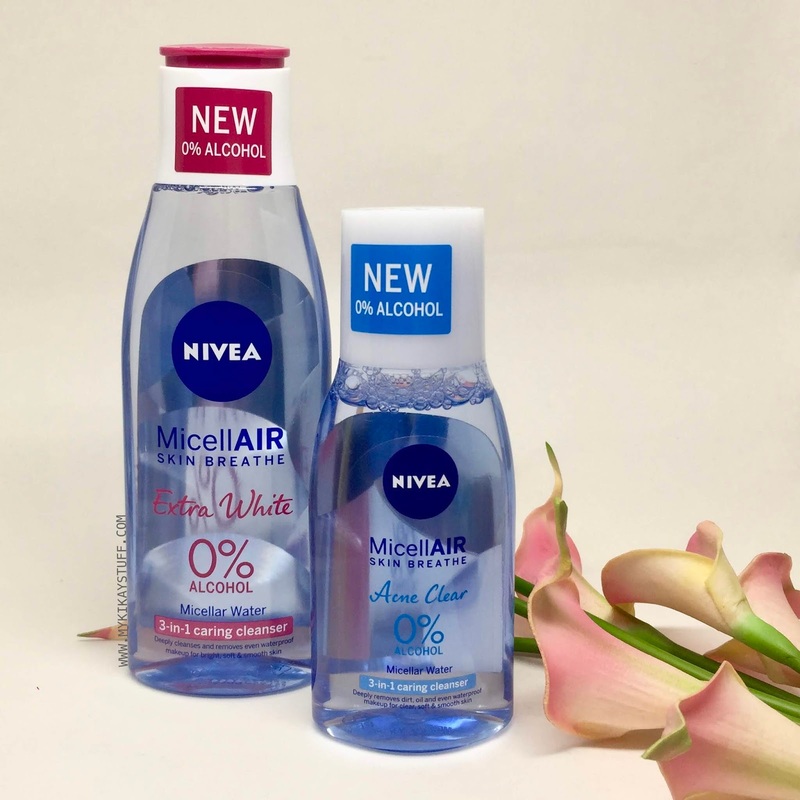 Overall, the Nivea MicellAIR 3-in-1 Caring Cleanser works well in removing makeup and waterproof mascara. 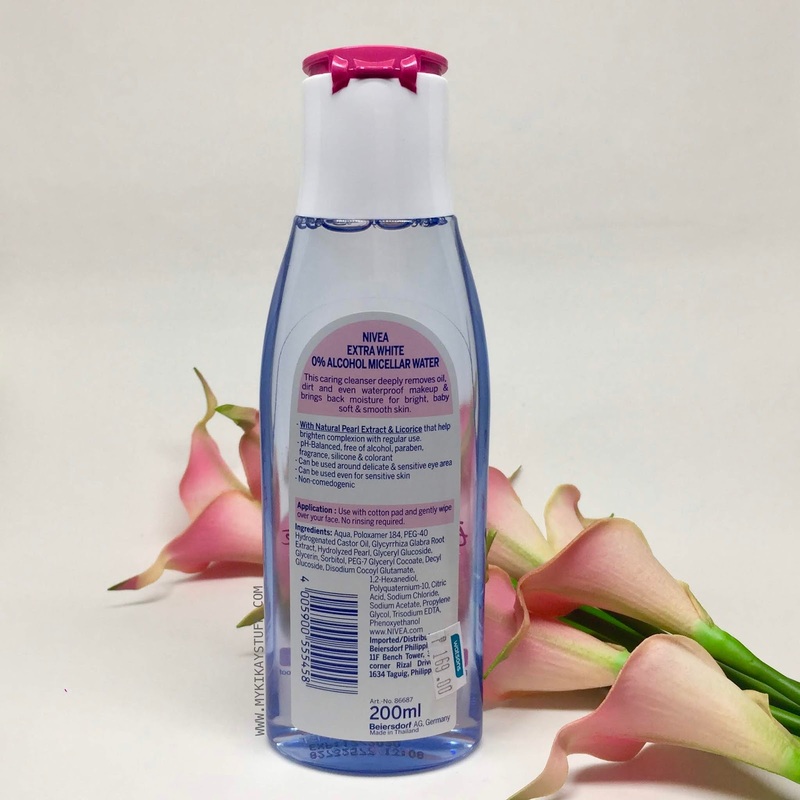 It's one of the more affordable micellar water cleansers in the market that works quite well. Both variants are available locally starting at Php 99 for the 125 ml bottle and Php 169 for the bigger bottle of 200 ml. That's it guys, thank you once again for reading this post and let me know on the comments if you have any questions. Please subscribe if you haven't by clicking the "Follow me with Bloglovin" tab on the sidebar to your right and get notified of future posts. Do follow me on social media by tapping the icons on the left upper corner of this page. Until next time, bye!